Employees in most businesses are relying more and more on smartphones and tablets to get work done. Sure, laptops and PCs are still widely used, but mobile devices have been added to the mix at a rapid rate. Enterprise mobile application development can help you boost employee productivity, improve customer engagement, enhance marketing and branding, and eventually give you an edge over the competition. •	Make a list of areas that mobile technology can positively impact. Check whether an app is necessary – web apps or responsive websites can be a viable alternative. •	Don’t reinvent the wheel. If the app stores already have apps that provide the features and facilities that you want, explore the possibility of using such apps. If there are no security concerns, it is simplest to use such apps. 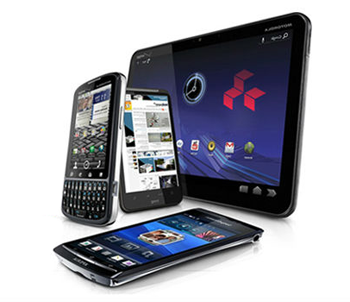 •	Mobile apps are not a separate, standalone technology for enterprises. They work best in combination with the ERP. So, ensure back-end integration. •	Even if you do not have BYOD in place, make allowances for it – it might become inevitable in future. For his, ensure that the information in your suite of apps can be secured. •	While cross-platform development can help you resolve the challenges posed by devices from multiple operating systems, it is best to focus on one or two platforms instead of all. In case the functionalities offered by specific devices are critical, you may need to develop separate apps for separate OS. Budget for this. •	Just because an app has a target audience of just 100-150 people, it doesn’t mean that the UI can be ignored. Make sure that you follow the standard UI practices. You don’t want an otherwise great app to be ineffective simply because it is not easy to use. •	Tablets are, in certain workforces, replacing laptops. Check the group of users for whom the apps will be created, and create tablet versions or tablet-only versions if required. •	For large-scale projects, it is best to adopt a tiered approach. This will enable you to measure success of your efforts, manage costs and chart out the course for extension of mobility. •	As the same app may be used by a number of different employees, you will have your work cut out. The biggest challenge will be assigning access controls, setting up sandboxes and taking care of policy management. Consider the use of ready-made solutions for this task. •	Analyze your resources and decide whether you will need to outsource mobile application development, or whether you can handle it all on your own. In case you need a number of disparate apps developed, it is best to approach enterprise app development companies. 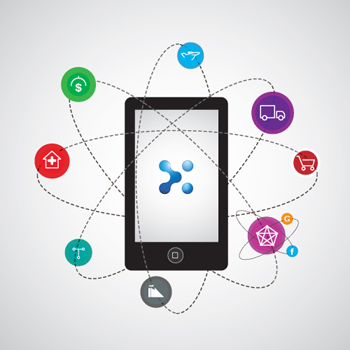 Mobile apps, when integrated with your ERP and other backend systems, can extend the capabilities of your business. The biggest benefits are: more employee productivity and better customer engagement. Mobility makes critical business data available anytime, anywhere, and allows your business to respond faster. Formulating a clear and comprehensive strategy will help you avoid making costly mistakes and secure the success of your enterprise mobility efforts. This is a guest post by Nilesh Talaviya, a mobile strategist working with a premier software engineering company in India. He is fascinated with how mobile apps are impacting enterprises and loves to shares ideas on the subject through blogging. If you’re looking for reliable enterprise mobile application development services, contact him at nctalaviya@cygnet-infotech.com.